Joining the Salut! 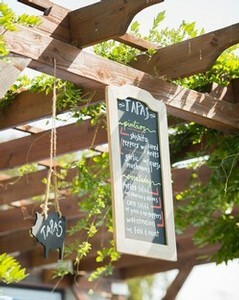 Wine Club is an adventure in tastes with wines and food pairings that will continually delight you. You will receive the newest releases of the full Bokisch wine portfolio - including our award winning Spanish varietals and our small lot bottlings. We pride ourselves in providing you with current releases in your shipment and don't fill the slot with a previous vintages unless you are a reds or whites only member. 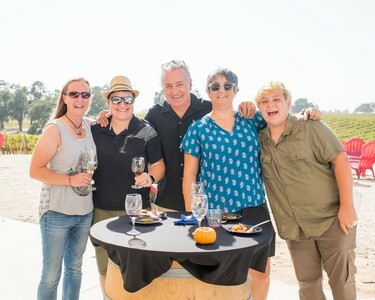 All club members receive 20% off all wines, 4 club releases per year, recipes cards designed by Liz Bokisch to match the wines, free tastings, 20% off merchandise purchased at the tasting room and invitations to reserve a spot at our club events. There is no fee to join! The Winter fiesta will be held on January 26th & 27th this release will consist of all our new 2016 Tizona wines. The Winter Release Party will be held in our barrel room, tickets will be available in early January. The Spring release will take place on May 4th & 5th and will consist of our 2018 Spanish white wines. The Spring pick up party will be held on the front lawn of our winery, tickets will be available in April. The Summer release will be held on the evenings of July 26th & 27th and will contain the Bokisch Family Estate label wines. The Summer Sunset pick up party will be held under our beautiful blue oak tree, tickets will be available in July. This dinner is a member exclusive 5 plus course meal catered by Taste Restaurant each accompanied by a Bokisch wine. This event is the only event held at the Bokisch home in a beautiful setting next to their Las Cerezas vineyard. 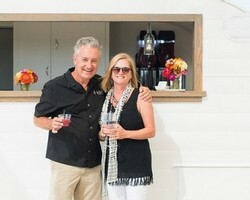 This is one of Liz and Markus's favorite events! The Fall release will take place on October 5th & 6th and will contain the new releases of our 2017 Bokisch Vineyards Spanish reds. 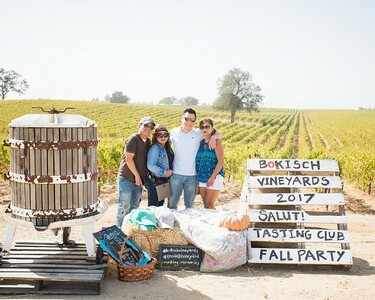 The Bokisch Big Red BBQ will be held on the front lawn of the winery, tickets will be available in September. 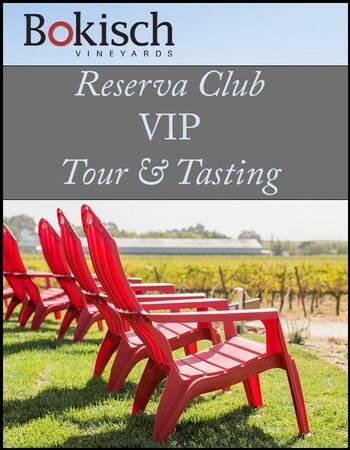 Reserva club members can claim up to 4 free tickets per year for this VIP Tour and Tasting. 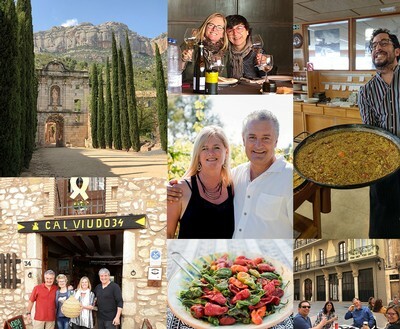 On this behind the scenes tour of our winery expect to enjoy a variety of wine tastings and Spanish nibbles along the way, with a complimentary wine glass to take home. This exclusive quarterly tour is meant to be an intimate experience custom made with our Reserva members in mind. Each tour is being limited to 20 people. Be sure to make your reservations early to get the tour date of your choice!